Optimal temp technology has allowed Philips to create a distinctive design, free from previous must-have features such as temperature dials and heel rests. 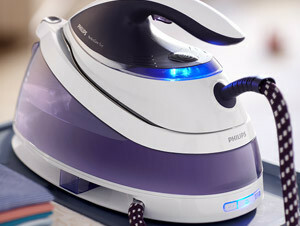 This results in an innovative and supremely ergonomic open-handle architecture, a 360 degree water tank and a steam iron that is twice as fast as a standard steam iron. 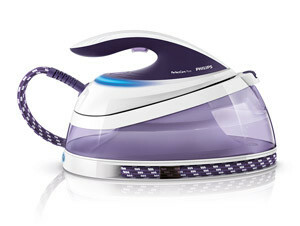 The Philips PerfectCare Pure steam generator iron features the world’s most effective anti-scale system. It is also the world’s most compact steam generator, giving its form factor maximum compactness for easy storage.